In our new version, we have changed the principle of pricing models setting. Now the model is defined as a pair of a computation model (Black, Black-Scholes or Cox-Ross-Rubinstein) and volatility model. You can create multiple models for each series of options and customize them in different ways. 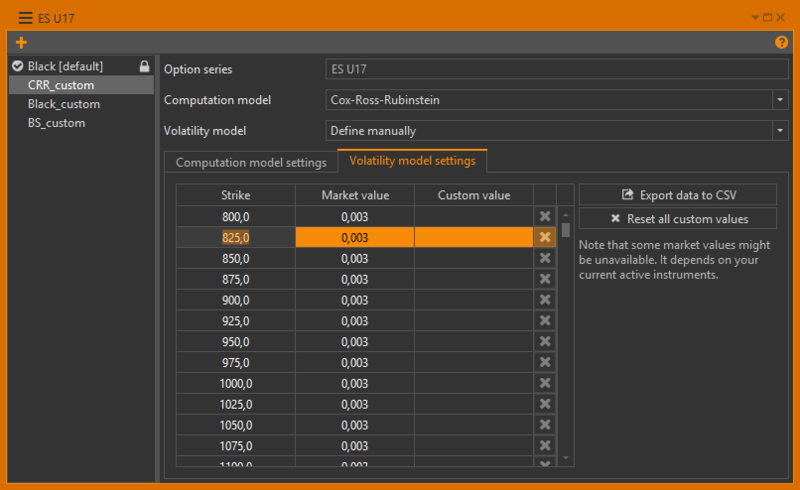 In the volatility model settings, you can specify custom volatility values. 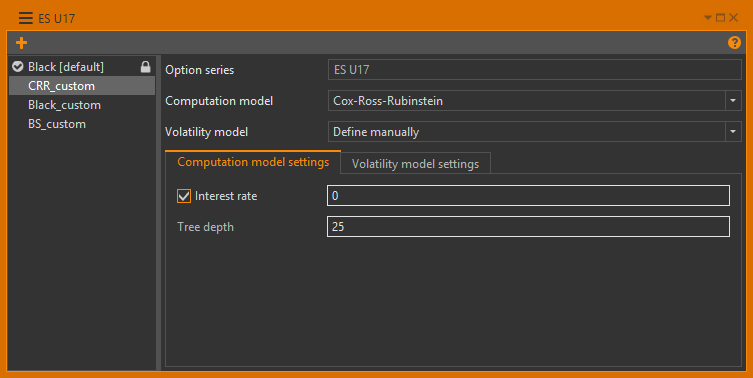 Also, we have added a user-defined model line on volatility skew built from custom values in the pricing model settings. Also, there are a few small changes in the positions table, technical support form, etc. a computation model (Black, Black-Scholes, Cox-Ross-Rubinstein). These models can be combined and you can set different parameters for each of them. Import from CSV file – the values of volatility are taken from a CSV file. 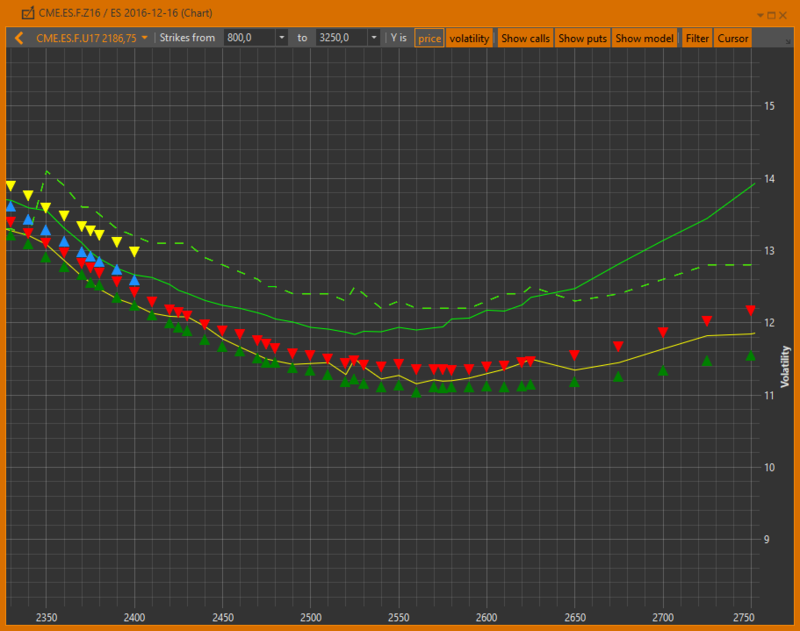 In the upcoming updates, we will add models that can approximate volatility values around ATM strikes. 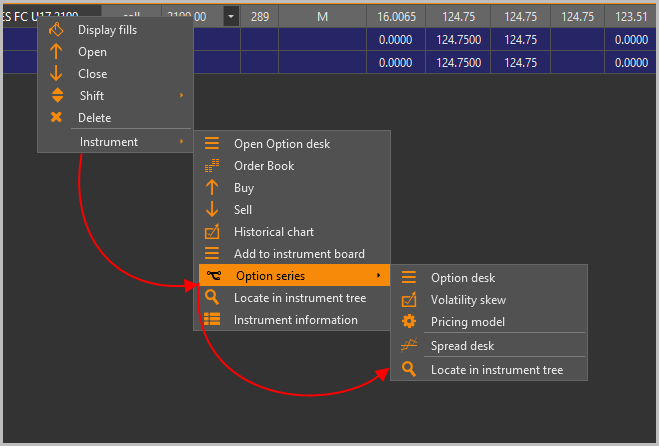 On the volatility skew, we have added an additional model curve that’s built from custom values configured in pricing model settings. The skew is shown by a dashed line. We have improved the positions table performance. Also, Option Workshop can now display fills and positions on instruments that have already expired. Now you can select your option series from the drop-down list. 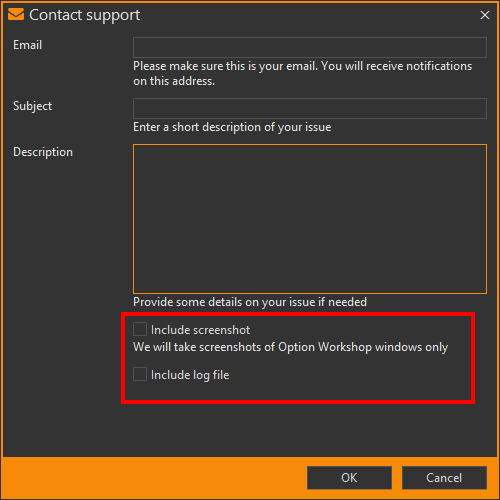 The checkboxes Include screenshot and Include log file on the Contact support form are unchecked by default. An issue when renaming of strategy doesn’t affect a name of opened tabs.